The first major snow storm of the season is over, but the damage to roads and highways has only begun. WASHINGTON — In the days and weeks ahead, potholes will bloom on area roads as predictably as flowers in spring. Driving into a pothole can cause a blown tire, a bent wheel rim or worse yet, damage to the car’s suspension system. 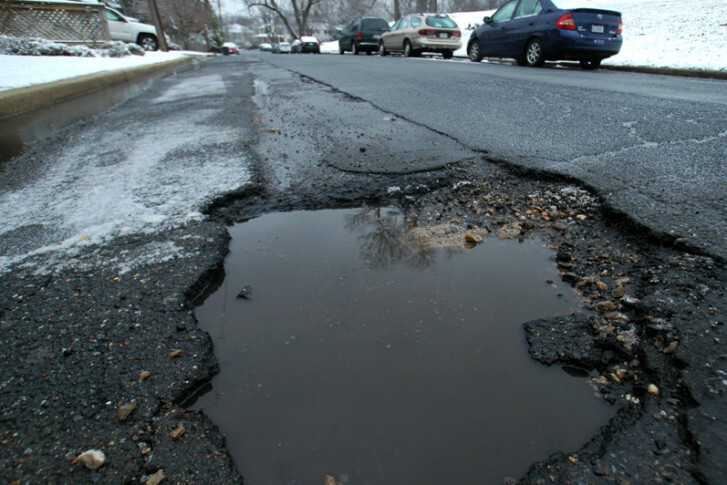 The rain and snow, changing temperatures and salt all contribute to the creation of potholes. Damage from potholes on Virginia state roads are handled by VDOT’s customer service center, which can be reached at 800-367-7623 or online. Damage claims in Maryland are filed with the Claims Department at the Maryland Treasurer’s Office. The number 410-260-7684 or 800-942-0162. The office can also be contacted online. Read more about government claims for pothole damage here.